Let us create a custom Montana pack trip just for you! Swan Mountain Llama Trekking prides itself in creating Montana pack trips to the unique requirements of ambitious customers. Whether you want a longer duration llama trek, or a custom designed ultimate Montana llama pack trip adventure, Swan Mountain Llama Trekking can meet the challenge! There is a unique group of people out there that have the desire to push their bodies and minds to the extreme. While our typical llama pack trips are designed to be relaxing and less taxing on the body, we have both the area and the skills to deliver a much more intense guided llama packing adventure. 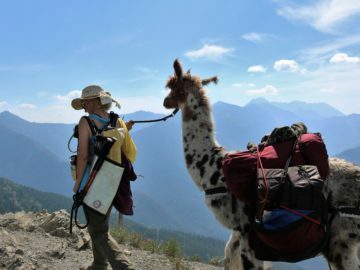 Like all custom trips, the key is to zero in on how we can adapt our llama treks to your liking. Our Alpine trail can be branched off such that we can explore many additional lakes that are rigorous to get to, and add several miles to the trek. And of course we have the ultimate experience in packing, the Bob Marshall Wilderness at our doorstep, to add a dimension to any customized trip. Additionally, we can add peak climbing and even rock climbing to the mix. The process begins by you contacting us with your idea, and we work with you to mutually develop a customized ultimate or extreme llama adventure! 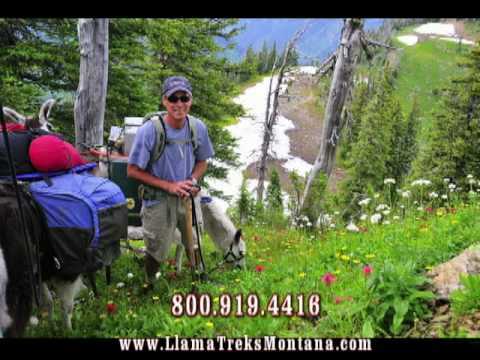 Find out why Swan Mountain Llama Trekking is your best choice for a custom Montana pack trip!